Calling all ball hockey players in SK to Grade 8! 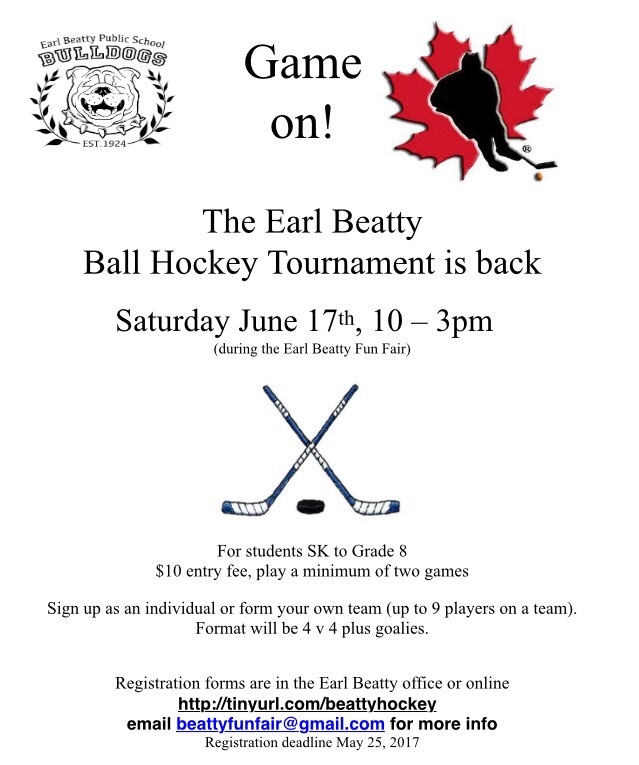 Earl Beatty is hosting a tournament Saturday June 17th. Registration deadline was the 25th but they’re accepting deadlines till the end of the weekend. Previous Previous post: Spring Festival Date Change!!!!! Next Next post: Earl Haig Spring Festival – This Thursday!